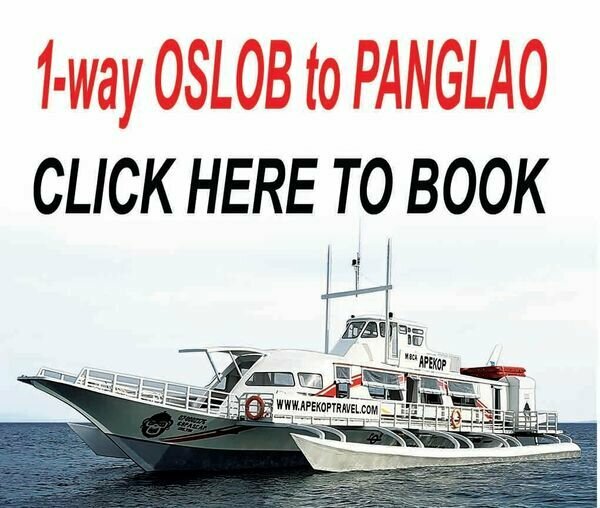 Our daily fare from Oslob to Panglao departs at 11.30 AM from Oslob "Quartel Beach", behind the church in Oslob Poblacion. Kindly arrive 30 minutes earlier for boarding. Please note that this ticket involves only the seafare to Panglao MOMO BEACH. At Momo Beach there is additional transport to Alona Beach available, costs 100 Php per person. Please select your departure or return date.